Winter is coming, without a doubt. While some people prepare to enjoy their vacation on a hot summer beach, others prefer the magic of winter and spending quality time on the snow, enjoying it to the fullest. No matter if you're heading for a winter vacation or that winter is harsh wherever it is that you live, one thing is for sure - you have to get your car ready. Here are a few tips on how to do just that. 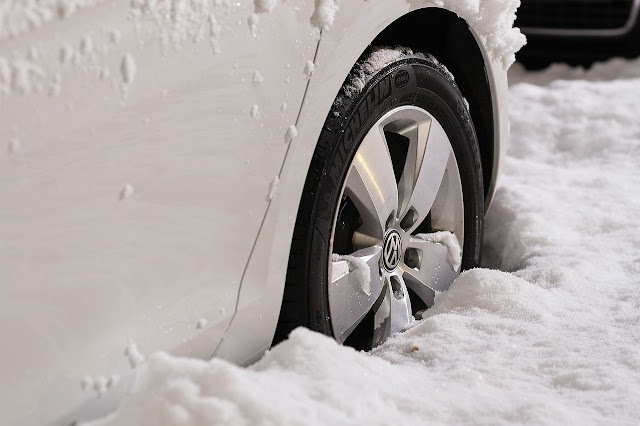 First and foremost, winter tires are essential during the showy and icy conditions on the road. They offer more traction on the road, better grip and they improve your car's handling in winter conditions. Aside from, road safety and performance benefits, winter tires are mandatory by law in some countries when temperature falls to 7 degrees C / 44 degrees F or simply from October to mid-April. That's why it's important to check your tires and replace them when needed. Brakes are one the most crucial components in your car and checking them regularly is a must, not just in winter. 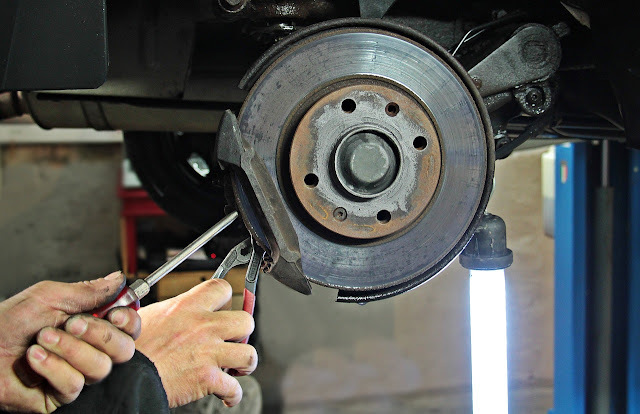 If your brakes have seen some wear and tear, then it's time to replace them. For instance, if your brakes do in fact need replacement, then you can ask your mechanic to replace them with a high quality DBA rotor brakes. However, if you find yourself sliding on icy road don't hit the brakes under no circumstances. It will only make you lose control of your car and block your wheels, which may lead you to crash into a tree or a nearby car. Instead, put in neutral gear and steer your car in the direction opposite of the slide. Having the right amount of antifreeze in your radiator is vital for your car during winter conditions. Antifreeze prevents your engine and engine fluids from freezing when temperatures fall below 0C/32F. The perfect amount of antifreeze and water in your radiator should be in a 50:50 ratio. You can buy premade bottles of antifreeze/water mixtures at your local car shop or gas station. Engine oil helps the car run smoother and it enhances its performance, but during winter when temperatures are below freezing, oil tends to thicken. That makes it harder for oil to pass between the parts, which may cause your engine to overheat. That's why it's important to check your engine oil before you head into a blizzard. If you're using a high viscosity oil for your car, then it will thicken faster. Make sure you replace such oil with lower viscosity oil; the car's manual should contain information about which oil is right for your car. Driving in winter conditions means that you should expect low visibility on the road. Snow flurries may turn into blizzards before you know it and icy rain can freeze on your windshield, making it impossible to see through. People usually ignore wipers up until the point when bare-metal starts scratching their windshield. However, if you want to pass through snow and icy rain than you'll want your wipers to be brand new. Also, wiper fluid helps clear the sludge made by rain and snow from your windshield, helping you to see better in harsh conditions. Winter can take you by surprise if you're not adequately prepared. Winter conditions tend to get quite unpredictable and at one moment you may be driving on the clear road, while finding yourself stuck in snow the next. 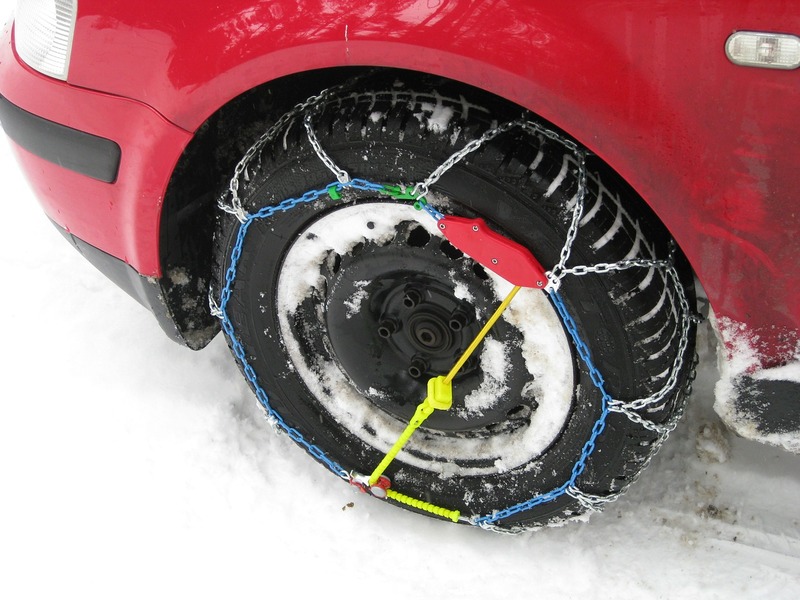 Make sure you always have a spare tire and that you also have tire chains for all four wheels, if you need to drive through snow. Chains improve traction and can help you dig your car out of snow if you ever get stuck. Getting your car ready for winter is exceptionally important. Not only will you protect your car from harsh conditions, but also protect yourself from unpleasant situations.